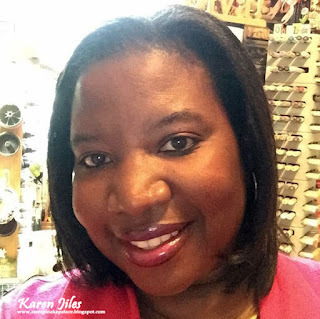 It’s Karen, sharing a fun little Instax Mini Album that I created with the Cut N Boss Machine and the So In Love Embossing Folder. I love this folder. It is so versatile and perfect for various occasions. I coupled it with a sweet sentiment: “Simply Enjoy the Little Things”. All that’s needed now are some Instax pics. 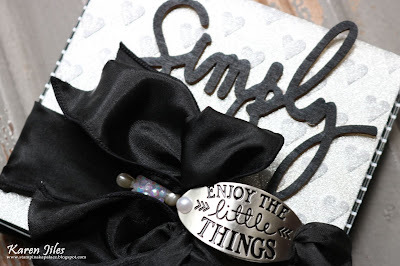 Take a peek at the super easy tutorial below. 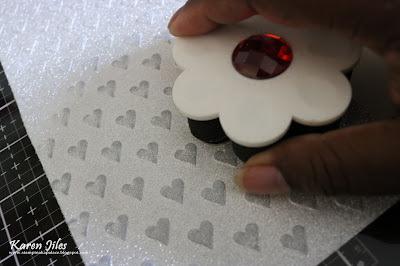 Step 1: Place cardstock in Heart embossing folder and run through the Cut N Boss machine. Remove embossed cardstock from the embossing folder. Step 2: Trim embossed cardstock down to layering size of Instax Album. 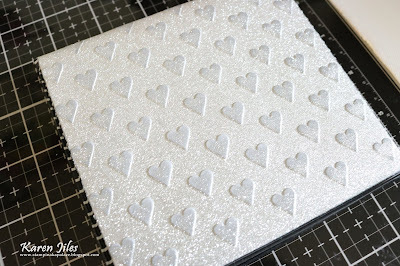 Sand the embossed cardstock with a sanding bar. 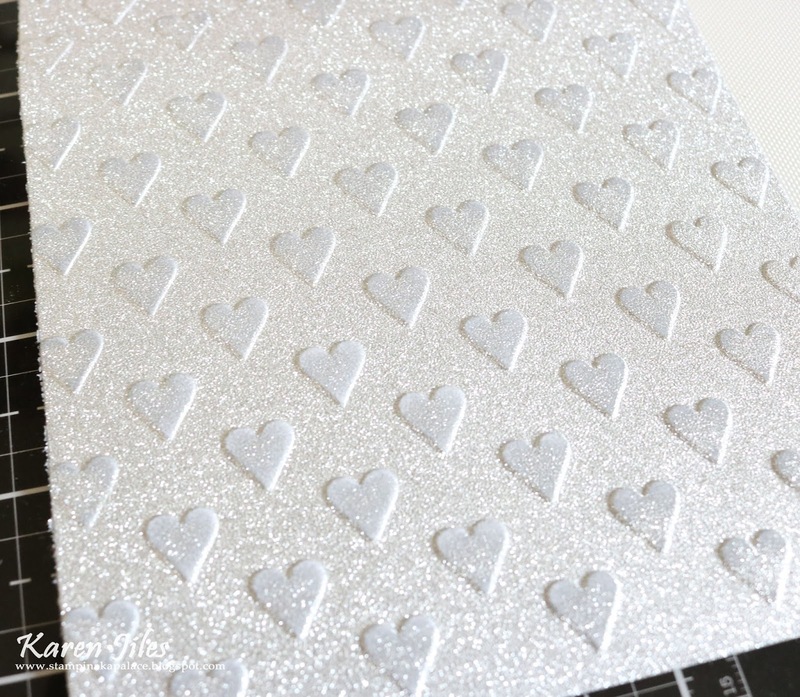 Step 3: Apply adhesive to the embossed cardstock and adhere to Instax Album. 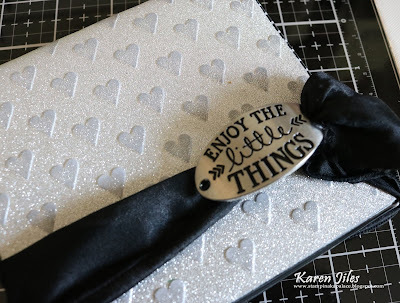 Step 4: Add ribbon and charm to the album. Step 5: Add wooden word and beaded pin. Continue embellishing as desired. Thanks so much for stopping by today and I hope that this Instax Mini Album has inspired you!